With Readly you can read Horrorville and thousands of other magazines on your tablet and smartphone. Get access to all with just one subscription. New releases and back issues – all included. 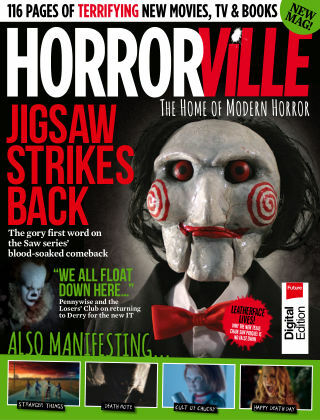 Horrorville is Future's high quality quarterly magazine dedicated to all things, creepy, spooky and sinister. Each issue brings you 116 pages of reviews, news, interviews and features on all the latest happenings in horror, while also delving into the genre's rich and exciting past. Covering movies, books, TV shows and more, we're the home of modern horror.